Prime commercial building located in the heart of the business district of Dunnellon on Hwy 41, situated perfect to serve Marion, Citrus and Levy Counties. 3,427 sq ft. Just steps from the busiest intersection in Dunnellon, next to the police department. Close to the Rainbow River, the state park, golfing, swimming, shopping, dining. Huge store front. Two separate store fronts are included. Lots of storage. Plenty of parking, with front and rear entrances, offering easy access for your customers. Huge showroom, office area. In adjacent building that is connected, it offers a perfect space for a warehouse for your company/business. Current business has been in operation since 1991. 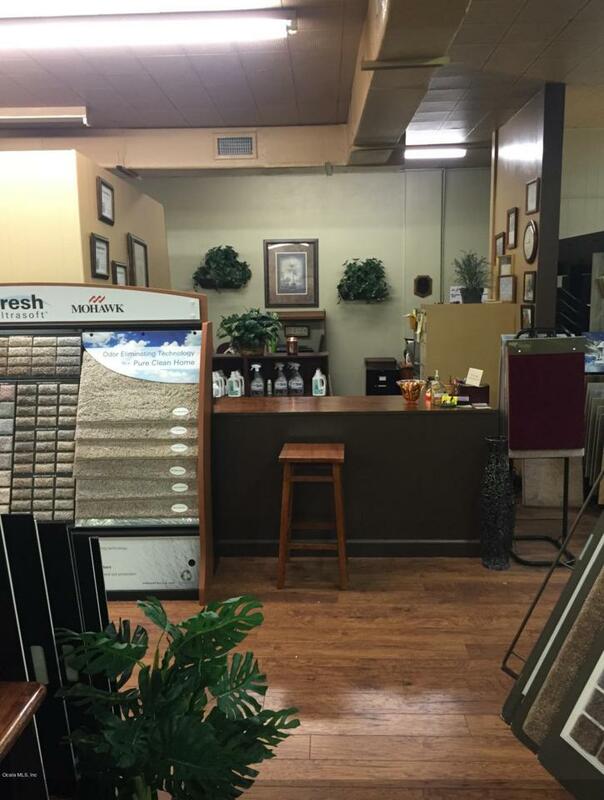 Excellent time to open your business in Dunnellon. Perfect building for many types of businesses.Easy access to Ocala, Crystal River, Gainesville, Tampa, Orlando. Listing provided courtesy of Nancy Little Lewis of Ccr - Citrus County Reciprocal.